Essential fatty acids (EFAs) are important polyunsaturated fatty acids that are vital for health but which cannot be produced in the body. Instead they must be obtained from the diet. Strictly speaking there are only two EFAs, linoleic acid (LA) and alpha-linolenic acid (ALA). From LA and ALA other important fatty acids can be formed in the body. LA and its derivatives are known as Omega-6 fatty acids and ALA and its derivatives are known as Omega-3 fatty acids. Cell Membrane Components - EFAs and derivatives are part of all cell membranes where they act as structural components and also maintain the fluidity of the cell. They are involved with the movement of substances into the cell (e.g. nutrients) and out of the cell (e.g. waste products) and also with cell to cell communication by helping to generate electrical impulses. Eicosanoid Production - Eicosanoids are comprised of four families of signalling molecules similar to hormones but functioning over much shorter distances (cell-to-cell rather than body-wide). Eicosanoids are made from both Omega-3 and Omega-6 fatty acids with each specific type exerting different effects. Eicosanoids include a group called prostaglandins which are important for the regulation of inflammation and immunity. Omega-3 derived prostaglandins tend to increase inflammation whereas Omega-6 derived types tend to reduce it. Eicosanoids are involved in numerous other functions such as central nervous system communication and regulation of cardiovascular function. Oxygen Transport - Though the mechanisms are not well understood it is thought that Omega-3 and Omega-6 fatty acids help transport oxygen from the lungs to the mitochondria of the cells where it is used in the production of energy (oxidation). The fatty acids apparently help transfer oxygen across cell membranes at both the lungs and cells receiving oxygen from red blood cells. Exercise Recovery - EFAs and their derivatives can significantly reduce the time required for fatigued muslces to recover after exercise. They apparently do this by helping the conversion of lactic acid to water and carbon dioxide. 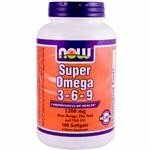 Brain Development - Omega-3 fatty acids (particularly DHA) are vital for the the healthy development of the brain. Deficiency of Omega-3 fatty acids during fetal development and early infancy may contribute to the development of permanent learning disabilities. Researchers such as Professor Basant Puri of Hammersmith Hospital and Imperial College, London, England have found that fatty acid supplements have brought significant improvement in ME/CFS patients. Professor Puri now recommends a supplement that contains pure EPA and GLA (VegEPA). His research has shown that this combination helps ME/CFS patients because EPA is able to kills viruses such as Epstein-Barr itself and is also used to produce interferons, powerful antiviral immune chemicals. In addition, EPA is used by the body to produce sleep promoting chemicals. Poor quality sleep is a central problem in ME/CFS and most medical professionals agree that it must be addressed for the patient's condition to improve. GLA is required in ME/CFS as viral infections shut down the enzyme which converts LA into GLA so patients tend to suffer from Omega-6 deficiency problems (see above). Levels of the Omega-3 fatty acids EPA and DHA in the brain have been shown in numerous studies to correlate with the risk of depression and other psychological and neurological disorders. The mechanisms behind this association are complex. Increasing DHA levels through diet and/or supplements helps to decrease neuroinflammation linked to depression. The brain is made up of phospholipids (complex fat-like substances) which are made from fats in the diet. The make-up of these phospholipids determines the brain's ability to function efficiently. If it has a high concentration of Omega-3 fatty acids brain cells can communicate with each other more efficiently and healthy levels of neurotransmitters such as serotonin, dopamine and noradrenaline/norepinephrine which are vital for maintaining positive moods are maintained. Again, through their effects on brain function, Omega-3 fatty acids may be beneficial in autism. So far the balance of results from a number of small studies show that Omega-3 fatty acid levels appear to be low in children with autism and there is some evidence that supplementation with either ALA, EPA or DHA may lead to improvemernt in symptoms. As noted above, DHA plays a particularly important role in brain development as it is the major structural component of brain cell membranes. Adequate intake of DHA may therefore be important during pregnancy and infancy to reduce the risk for developmental disorders such as autism in children. Amongst atopic diseases the most research in terms of fatty acids has been conducted on atopic dermatitis (AD). Studies have found deficits in Omega-6 fatty acid metabolism resulting in GLA and DGLA deficiency in AD. These deficiencies have correlated with disease severity due to effects on skin barrier function and cutaneous inflammation. Fatty acid deficiencies may also play a role in other allergic diseases by affecting production of the eicosanoids which have a role in regulating immune function.